This holiday season, Academy Award® winner Robert Zemeckis—the groundbreaking filmmaker behind Forrest Gump, Flight and Cast Away—directs Steve Carell in the most original movie of the year. 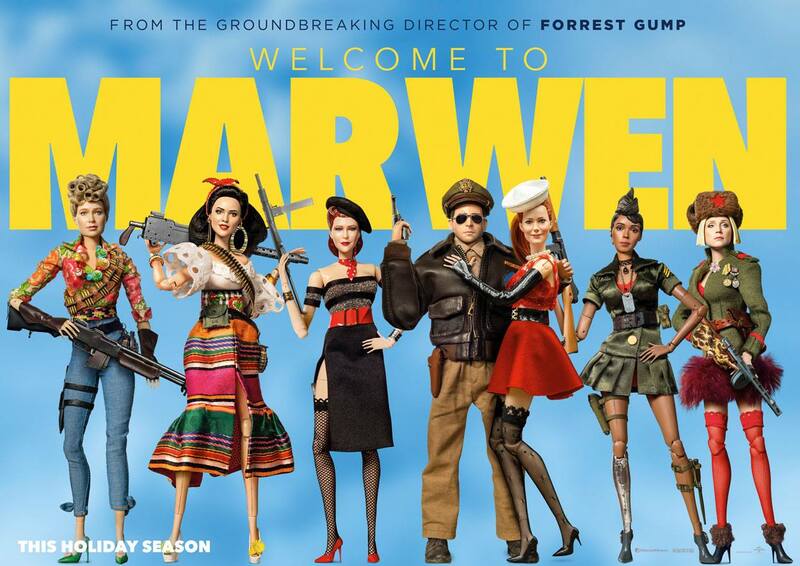 "Welcome to Marwen" tells the miraculous true story of one broken man’s fight as he discovers how artistic imagination can restore the human spirit. When a devastating attack shatters Mark Hogancamp (Carell) and wipes away all memories, no one expected recovery. Putting together pieces from his old and new life, Mark meticulously creates a wondrous town where he can heal and be heroic. As he builds an astonishing art installation—a testament to the most powerful women he knows—through his fantasy world, he draws strength to triumph in the real one. In a bold, wondrous and timely film from this revolutionary pioneer of contemporary cinema, "Welcome to Marwen" shows that when your only weapon is your imagination…you’ll find courage in the most unexpected place. The epic drama is produced by Oscar®-winning producer Steve Starkey (Forrest Gump, Flight), Jack Rapke (Cast Away, Flight), and Cherylanne Martin (The Pacific, Flight) of Zemeckis’ Universal-based ImageMovers banner produce alongside the director.